The defense for keeping thimerosal in vaccines was published in a medical journal and commentaries authored by Drs. Walter Orenstein, Louis Cooper, Samuel Katz et al was widely promoted in the media by Dr. Paul Offit and others supporting the “pro-mercury” stance officially endorsed by the American Academy of Pediatrics (AAP). The article and commentaries, published in the journal Pediatrics,2 were written in response to consumer calls for thimerosal removal to be included in a United Nations Environmental Program’s (UNEP) global treaty to reduce mercury pollution and protect human health. The binding treaty calls for the global reduction or banning of certain mercury-containing products and exposures. Dental amalgams, which contain mercury, are included in the treaty, but thimerosal was removed from the product list during the beginning of the treaty development process. Advocacy groups like SAFEMINDS and Co-Med have been working to add thimerosal removal from vaccines back in to the treaty. Interestingly, the AAP has been inaccurately publicizing the idea that a thimerosal ban is, in fact, part of the treaty in order to have an excuse to globally defend the safety of mercury preservatives in vaccines. 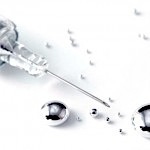 Thimerosal—Is it Really Worth the Risk? It is already an established fact that exposure to mercury can cause immune, sensory, neurological, motor, and behavioral disorders. But many doctors and health officials are still refusing to admit that ethylmercury may cause harm, stating that there’s no evidence for such fears, and that ethylmercury is harmless compared to methylmercury—the form typically found in contaminated fish. Dr. Paul Offit, chief of infectious diseases at Children’s Hospital of Philadelphia, claims that the U.S. government’s 1999 directive to drug companies to remove thimerosal from pediatric vaccines was not based on scientific evidence of harm, but rather was simply done as a precautionary measure until researchers could learn more about thimerosal health effects. He goes so far as to call the removal of thimerosal in the US “a mistake,” and one that should not be repeated globally. “Numerous international studies since have uncovered no evidence of harm—including no link between thimerosal and autism, which had been a concern. The U.S. Centers for Disease Control and Prevention says there is ‘no convincing evidence of harm caused by the low doses of thimerosal in vaccines. Barbara Loe Fisher, co-founder and president of the National Vaccine Information Center (NVIC), strongly disagrees with the AAP’s stance, and so do I. She points out that the Environmental Protection Agency (EPA) and the Food and Drug Administration (FDA) have not rescinded their 1999 directive to the pharmaceutical industry to take thimerosal out of childhood vaccines. “In an era when cost-effective, much less toxic, non-bioaccumulative, and more effective alternatives are available and in-use as in-process sanitizers and preservatives, there is no conscionable justification for the continuing presence of thimerosal in human pharmaceuticals,” the letter states. While concerns about thimerosal are valid, it’s by no means the only vaccine ingredient or factor that can make childhood vaccinations a risky proposition. Even more important is the issue of use of too many vaccines in general, and the routine administration of multiple vaccines simultaneously during one doctor’s visit. “In 1990, infants received a total of 15 vaccine doses prior to their first year of life: 3 DPT injections (9 vaccine doses), 3 polio, and 3 Hib vaccines—5 vaccine doses at 2, 4, and 6 months of age. By 2007, the CDC recommended 26 vaccine doses for infants: 3 DTaP, 3 polio, 3 Hib, 3 hepatitis B, 3 pneumococcal, 3 rotavirus, and 2 influenza vaccines. While each childhood vaccine has individually undergone clinical trials to assess safety, studies have not been conducted to determine the safety (or efficacy) of combining vaccines during a single physician visit as recommended by CDC guidelines. For example, 2-, 4-, and 6-month-old infants are expected to receive vaccines for polio, hepatitis B, diphtheria, tetanus, pertussis, rotavirus, Haemophilus influenzae type B, and pneumococcal, all during a single well-baby visit—even though this combination of 8 vaccine doses was never tested in clinical trials. …Administering six, seven, or eight vaccine doses to an infant during a single physician visit may certainly be more convenient for parents—rather than making additional trips to the doctor’s office—but evidence of a positive association between infant adverse reactions and the number of vaccine doses administered confirms that vaccine safety must remain the highest priority. In related vaccine news, a lab scientist, who discovered HPV DNA fragments in the blood of a teenage girl who died after receiving the Gardasil vaccine, has published a case report in the peer reviewed journal Advances in Bioscience and Biotechnology.8 The otherwise healthy girl died in her sleep six months after receiving her third and final dose of the HPV vaccine. A full autopsy revealed no cause of death. Sin Hang Lee with the Milford Molecular Laboratory in Connecticut confirmed the presence of HPV-16 L1 gene DNA in the girl’s postmortem blood and spleen tissue. These DNA fragments are also found in the vaccine. The fragments were protected from degradation by binding firmly to the particulate aluminum adjuvant used in the vaccine. “The significance of these HPV DNA fragments of a vaccine origin found in post-mortem materials is not clear and warrants further investigation,” he writes. However, Lee suggests the presence of vaccine-associated HPV DNA fragments might offer a plausible explanation for the high immunogenicity of Gardasil, meaning the ability of the vaccine to provoke an exaggerated immune response. He points out that the rate of anaphylaxis in girls receiving Gardasil is far higher than normal—reportedly five to 20 times higher than any other school-based vaccination program. Other health problems associated with Gardasil vaccine include immune-based inflammatory neurodegenerative disorders, also indicative that something is causing the immune system to overreact in a detrimental way. Between June 1, 2006 and December 31, 2008, there were 12,424 reported adverse events following Gardasil vaccination, including 32 deaths. The girls, who were on average 18 years old, died within 2 to 405 days after their last Gardasil injection. “No investigative work was attempted to confirm or exclude any link of a death to Gardasil vaccination although there was disproportional reporting of syncope [fainting] among the Gardasil recipients,” he notes. Since then, many more have died. There can be no doubt that we are in urgent need of a serious vaccine safety review in the US. Quality science is simply not being done. And very few vaccine recommendations, which prop up state vaccine mandates, stand on firm scientific ground. I urge you to make 2013 the year that you engage and get actively involved in the monumentally important task of defending YOUR right to know and freedom to choose which vaccines you and your child will use. Supporting the NVIC is one way you can help. “In 2013, the National Vaccine Information Center (NVIC) enters our fourth decade of preventing vaccine injuries and deaths through public education and defending the legal right to make voluntary vaccination decisions in America. Each year during the past 30, NVIC has become more successful in achieving our mission. With that success has come more fierce opposition by politically powerful medical trade associations and special interest groups allied with drug companies doing everything they can to censor truthful vaccine information and strip vaccine informed consent protections from public health laws. At a recent federal advisory committee meeting, we learned that public opinion surveys reveal that NVIC ranks as one of the most trusted sources of vaccine information among Americans, who choose to vaccinate, and also among those, who do not. This means that our small charity and the well-referenced information on our website at NVIC.org is helping to inform the health decisions made by millions of Americans. This is a huge accomplishment and it would not have been possible without 30 years of loyal support by tens of thousands of parents, grandparents, doctors, nurses and students coming from every single state and every walk of life, who offer donations to NVIC every year. A lot of people still don’t realize that Congress and the U.S. Supreme Court have completely shielded drug companies and doctors in America from product liability and malpractice lawsuits when vaccines injure or kill someone. But pharmaceutical corporations and medical trade groups are not satisfied with total liability protection and no accountability. They also want the power to legally force 310 million Americans to buy and use every single vaccine that Big Pharma produces and public health doctors endorse – no exceptions. NVIC and our uncompromising defense of informed consent to medical risk taking, including vaccine risk taking, has stood in their way for 30 years. And that is one reason why we are witnessing vicious assaults on NVIC and courageous Americans in every state, who are trying to protect their right to know and freedom to choose how they and their children will stay well. At this time last year, NVIC was the subject of a smear campaign led by American Academy of Pediatrics officials, who put pressure on Delta Airlines in a failed attempt to remove an NVIC-sponsored flu prevention video from inflight health programming. A month later, another online disinformation campaign about NVIC was launched by forced vaccination proponents to get a 15-second NVIC-sponsored digital ad taken down from Times Square. It failed and our vaccine risk awareness message was broadcast throughout the holiday season and on New Year’s Eve. And this year, drug company and medical trade association lobbyists tried to persuade legislators in Vermont and California to remove philosophical and personal belief exemptions to vaccination from public health laws. But we fought back in both states, using our free online NVIC Advocacy Portal to empower citizens to quickly organize and electronically stay connected to their legislators and up-to-date on breaking news. ‘My daughter is a proven vaccine injury of the pertussis vaccine. I urge people to please help to defend the personal belief exemption. My child almost died from vaccines and there are doctors, even most recently a neurologist whom we visited in California, who suggested that we continue the very vaccine that almost took her life. Our daughter suffered an encephalopathy, rare seizures, global developmental delays, speech delays. She is eight years old and crawls. She can’t walk or ambulate alone. She has multiple chemical disorder and it causes her to have seizures. She is unable to attend public schools and we no longer have health insurance and no job, due to what this vaccine damage has taken from our family. If you think doctors are going to sign the [personal belief] exemption, you are wrong. They won’t.’ This Mom knows first-hand that vaccine risks are greater for some than others and that, at our peril, do we give up our freedom to make personalized vaccine decisions for ourselves and our children. Listed below are links to blogs that reference this entry: Vaccine News: AAP Opposes Ban on Thimerosal, While Study Finds More Vaccines Equate to Increased Hospitalization and Death. This page contains a single entry by Toni published on March 9, 2013 9:09 AM. Pot Smoking Not Linked To Breathing Problems; May Help Lungs was the previous entry in this blog. Short Lesson in Medicine is the next entry in this blog.